Did you know that signing up for an account with an online casino means you’ll start earning reward points every time you place a real money bet? This is just another incentive offered by online vendors in addition to sign-up bonuses to encourage player loyalty. We take a look at the best value casino loyalty reward programs offered by the top-rated online casinos and explain how you can get the most out of these bonus offers. How do casino loyalty reward programs work? Loyalty reward programs offered by online casinos work in a similar fashion to any other retail rewards or frequent flyer program, where you earn points every time you spend money at the casino. It’s a way for online operators to ensure players remain loyal to their site, while also providing players with the chance to get something back for the time and money spent at a venue. When you sign up for an account with a reputable online casino, you’ll automatically become part of the casino’s loyalty program. From there on, every time you play games for real money when signed into your account, you’ll start to earn points, with different games counting for different point values. As you accumulate points you’ll then be eligible to exchange points for all kinds of different rewards, including free spins, free casino credits and even real world prizes. These programs typically have different loyalty tiers, where you’ll start at the bottom tier and work your way up through higher levels the more you play. The higher you climb, the better the rewards you have access to become, and you can even reach VIP status to get access to higher deposit limits, faster payouts, your own dedicated VIP host and invitations to exclusive VIP events. 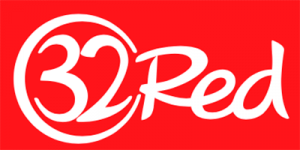 The loyalty program at 32Red Casino is known as the Ruby Red Rewards program (Note: As of 2017, 32Red no longer services the Australian market, so this information is intended for an international audience only). Once you’ve signed up for an account, you’ll earn Red Rubies and climb your way through the different loyalty tiers in order to win free casino chips which can then be used for the chance to win real money on your favourite casino games. Bronze – 50 Red Ruby points required to enter, with 25 Rubies required to be earned every month to retain your Bronze status. Bronze members receive 1,000 bonus points on their birthday. Silver – 1,000 Red Ruby points required to enter, with 500 Rubies required to be earned every month to retain your Silver status. Silver members receive 2,500 bonus birthday points, plus 10% extra bonus points each month. Gold – 5,000 Red Ruby points required to enter, with 2,500 Rubies required to be earned every month to retain Gold status. Gold members receive a birthday bonus of 3,200 Rubies, a 20% bonus each month and access to personalised promotions. Platinum – 10,000 Red Ruby points required to enter, with 5,000 Rubies required each month to retain Platinum status. Platinum members receive a birthday bonus of 5,000 Rubies, 50% bonus points each month and consideration for Club Rouge membership. Club Rouge – Entry to Club Rouge is by invitation only, with eligibility determined by your player loyalty and bonus tier. This VIP program offers 5,000 Rubies on your birthday, a monthly bonus of up to 200%, enhanced bonuses, exclusive promotions, membership gifts, personal support services and more. In 2016, Guts revamped its loyalty program and launched the enticing new Guts Loyalty Squad, putting a fresh spin on the standard online casino loyalty format. Membership to the Guts Squad is available by invitation only, with the casino operators keeping a close eye on all daily, weekly and monthly activity to see if you’d be a fitting member for the Squad. You can demonstrate your value by regular visits to Guts.com, making frequent deposits and playing games for real money on the reg. Membership will then require maintenance of your usage levels to retain active Squad status. The Royal Vegas rewards program offers a straightforward way for players to get something back for time spent at the casino. When signing up, you’ll enter at the base level of Silver status, and can then work your way up through the different tiers all the way to highest level of Diamond status. The higher you climb, the bigger the benefits you receive and the quicker you’ll accumulate points. You’ll need to earn 1,000 points to redeem one cash credit, and credits can only be redeemed in increments of 5,000 points. Firstly, it’s important to note that each casino loyalty program has distinct stipulations attached to its reward system, so always check the terms and conditions to make sure you’re aware of the rules of the program. The most significant is that different games contribute towards loyalty points differently, so not all types of games are created equally. For example, playing games of chance like the pokies will earn you rewards much faster than playing skill based games like video poker. To make the most of a loyalty program, it’s best to choose a casino you like the most and stick with it, as placing your bets at one venue will ensure you rack up loyalty points faster than spreading play around multiple casinos. We recommend you visit the casinos recommended at our site and sign up for an account with each to claim the welcome bonuses on offer. From there you can get a feel for each casino and sample the games on offer before deciding which is the best venue for you. Head to Guts Casino where new players can claim a $500 welcome bonus when depositing real money for the first time. You’ll automatically receive entry to the Guts Squad loyalty program for all kinds of additional player bonuses.